Stainless steel camlock fitting F Style to 1/2" NPT Male. I have looked at numerous DIY hop backs over the last few years but this is what I was dreaming of the entire time. 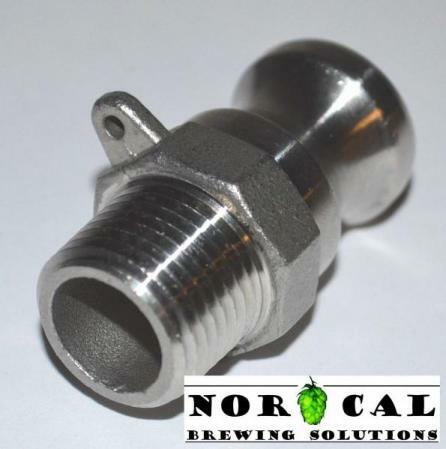 What a brilliant creation from the minds of Norcal Brewing Solutions. Works like a champ. I'm a huge fan of what you guys do. nice quality fittings. great sight level glass. very helpful staff answered all my questions, sent me photos of the sight glass...great customer service. would order again from nor cal. I love the ease of use with these quick disconnects. Awesome service at NORCAL brewing.